With over 655,525 departures and arrivals in 2017, Dallas Fort Worth International (DFW) Airport achieved the title of 4th largest airport for operations in the world, an accomplishment which marks one of many milestones in the American hub’s record of growth. This month ADVAM have announced that DFW have chosen them as their ticketless-parking partner, making DFW the first American airport to hit the runway with TollTag-integrated parking. DFW has launched ADVAM’s most innovative online parking reservations platform to date, pivoted by single-click purchasing, QR code generation and complete integration with the North Texas Tollway Authority (NTTA). Upon registering their details with the airport’s official parking website, first-time customers will be able to securely save submitted details to their DFW parking account. Returning account-holders will then be able to complete their transaction using stored order details to breeze through the purchase process and reach the confirmation page without having to re-enter personal details, vehicle details or payment information. Accompanying the platform upgrade will be the ability for customers to link their electronic toll collection (ETC) tag to their reservation. When parking customers enter their vehicle registration number during the booking process, they’ll have the option to assign their TollTag number to their booking or receive a custom-generated QR code. By choosing the TollTag option, parking customers will be able to arrive at the airport car park and drive straight through access control (given that their TollTag is fixed visibly on the windscreen), into their prepaid parking space. Alternatively, airport parking customers can choose to have a QR code sent directly to their email inbox, which customers scan at the car park barrier to gain access. Managing Director of ADVAM UK, Julian Sperring-Toy, describes the project as “ground-breaking” and states: “our collaboration with DFW and the NTTA has made our AltitudeReservation solution truly disruptive by leveraging information that is unique to each customer, optimal for platform integration and readily available. DFW Airport’s approach to the platform release is one that ADVAM advocates and resonates with closely: scalable, sustainable and one which brings innovative technologies together to delight and convenience parking customers in ways that they did not know were possible”. Not only does the online booking platform make full use of its collaboration with the NTTA by alerting parking customers of their ETC tag’s status change (should it expire or deactivate), but DFW will also automatically dispense an email containing a QR code for the upcoming booking in lieu of the invalid tag. Should the parking customer then renew or reactivate their ETC tag before their arrival date, they’ll even have the option to switch back to toll tag recognition as their entry method. DFW’s new online booking journey not only truly makes frictionless parking a reality for their online parking customers, but for the airport’s parking payments operations, too. Working together with ADVAM’s secure and reliable PSP gateway is America’s largest consumer banking company, Chase Bank. 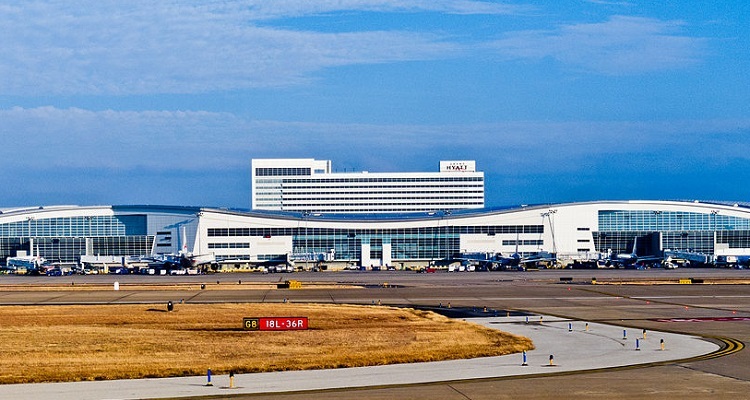 Having obtained full certification from the estimated $2.5 trillion banking group, ADVAM’s collaboration with its US partners facilitates the complete end-to-end integration for DFW Airport’s parking facilities, allowing the Texan hub to stay focused on what matters most: their customer journey. DFW’s new seamless customer parking experience was launched on 4 April 2018, making it ready just in time for America’s busy summer holiday season.